This article is one of a series exposing theft, deceit, tax evasion, and bribery of public officials. It questions a Presidential candidate who would associate with such people, much less take money from them. This money is then hidden offshore to evade taxes in a conspiracy with ruthless criminals, all knowing the true Beneficial Owner of the funds was being cheated of his income at every turn. These actions bring consequences. Knowledge is power. We expose three key names of consequence today. Mitt Romney, Dr. Michael Herzog and Paul Guenette are now challenged to publicly explain why they ruthlessly cheated an American national causing loss of important projects, tax revenue and the denial of hope and dignity to many Katrina victims. These far flung results would have resulted from pre-approved projects which were to have been done if not for the deceit of the above mentioned three. The Falcone Group was planning high value work, which was needlessly delayed with pain and suffering for many; real consequences occasioned for real people, so many innocent citizens affected by the ruthless conspiring greed of others. Mitt Romney is a Presidential candidate bidding for the honor of holding the highest office in the land. And yet, behind the scenes, he associates and trades with two men whose criminal pasts merit public awareness and scrutiny. We will present a sectional exposure of each. Mr. Edward Falcone was asked to allocate part of his Bank Trading Program profits to help Romney during his previous campaign. It was there that he and Herzog became connected. This is how Romney repays his supporters. Paul Guenette, a Canadian resident, has a small home in Ethelbert, Manitoba. He and Dr. Michael Herzog have a combined history of global arrests, charges and venomous fraudulent activities. A discrete inquiry to Canadian authorities led to helpful guidance that he is both under heavy surveillance by the Canadian Police and under an airport watch, indicating he may have already fled and may in fact be hiding out with Herzog in Germany or possibly in Spain. He and Herzog were closed down in Switzerland by security authorities with a Bank they jointly owned (ICB Bank). Guenette and Herzog were also arrested in Germany for attempting to pass fake credit Letters for cash via Commerzbank in Frankfurt, Germany. The German Police are monitoring Herzog closely and will no doubt increase activity on receipt of this. There are outstanding warrants on Herzog in Israel, and by respecting Canadian investigations and law, it is pertinent not to declare more or hinder clear and serious investigations involving Guenette. Herzog has made allegations that he and Ackermann were assured of safety as a result of bribes made to a named Senior Interpol Officer, details of which Mr. Falcone is willing to submit to investigating officers. How much should we release that does not harm international enforcement agency diligence or pending actions is precisely the dilemma. Herzog and Guenette have a deep relationship with Romney and money transfers he received, some of which will be exampled meriting public challenge. The files held are extensive. This is a small overview of a vast library of investigative reports and accounts used. Romney is declaring his personal wealth holdings, which simply do not equate to money he has received from Herzog and Guenette. Records exist showing in excess of 900 million dollars taken offshore. This raises questions as to the validity and truthfulness of his IRS declarations, or perhaps in Mitt Romney’s mind, tax is only for the “little people.“ Does he merit the highest office in the land? A vast amount of detailed and highly incriminating evidence is in our hands and has been lodged with appropriate global authorities. In such, we have to ensure we do not compromise criminal investigations now proceeding. The case we raise releases facts never before published, facts you deserve to know and question. During the third week of October 2006, Michael Herzog, working against a bank trading platform contract he had been allocated by senior US political parties, signed in conjunction with Edward Falcone, and for the benefit of Edward Falcone, drew down $500M from a further Falcone account for Trading by Herzog. That was over and above the account set up for the use of Josef Ackermann of Deutsche Bank, which primarily funded CIA accounts, exiting via banks such as Barclays London. This had been previously started with a first initial amount of $350M and rapidly leveraged by Ackermann and fast track traded up in value. A credit line was arranged by Josef Ackermann of Deutsche Bank with the Bank of Austria. That was traded well into July 2008 by Ackermann. Vast profits were earned. On August 1, 2007, Ackermann and George Bush Sr., working in conjunction with Herzog, Romney and Greenspan, exchanged communications agreeing not to pay Falcone, and to trade it for yet another year. 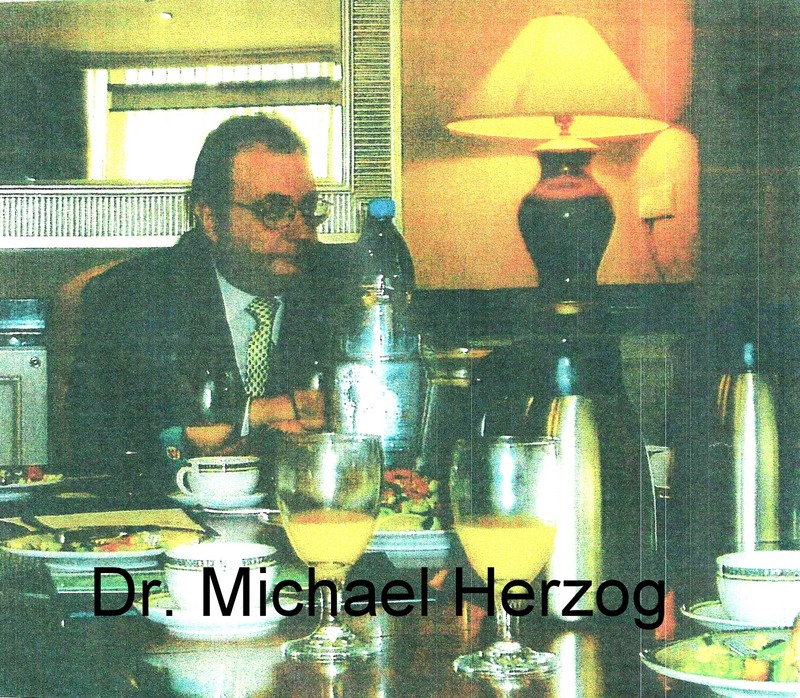 While Herzog had been ready to pay Mr. Falcone, he and Ackermann allege the communication to block payment came from Bush Sr. who wanted to continue trading it. Herzog continued receiving his own profit payments along with the other criminal participants. Also, substantial CIA profits were being accrued without Congressional awareness or oversight. The following year, another program was traded with Herzog and others fronting it, while substantial profits were continuously accrued. Hundreds of billions of dollars were earned through their continuing greed. All of this was hidden from the trusting true beneficiary who got nothing! A series of high value multi-billion dollar Bank CHIPs were created from profits both in Falcone’s name and for his beneficial interests. However, those were also mass used, fraudulently signed off for trading via other parties, and Falcone was again ruthlessly and criminally circumvented. A criminal pack of political thieves extorted his funds. On September 26, 2005, Deutsche Bank Chairman and CEO Josef Ackermann admitted to his Deutsche Bank coordinator, Juergen Schafer, that trading had been engaged by his commitment holder without informing Mr. Falcone. Records linking Paul Fauque, Nathan the Trader, and a series of beneficiaries are all on file as the investigation proceeds. These profits accrued by Herzog were personally shared by George Bush Sr., George Bush Jr., Romney, Greenspan, Paulson, Herzog, Ackermann and Guenette in conjunction with other political associates and Bank Traders. Some associates earned between 2% and 4% of the profits which were side-lined into a labyrinth of offshore pseudo Trusts. The actual list of all beneficiaries is known, with accounts recorded and ready for Global recovery action. It has been lodged already with the FBI, Homeland Security, The US Federal Reserve, NSA, and also with the CIA – the largest beneficiary of profit allocations from Ackermann’s operation. This is America’s dilemma. With key appointments accepting political patronage, those compromised parties are too often carefully placed in key agency or government roles to maintain the status quo and to protect and block corruption inquiries. Major Banks they used for these trades included Credit Lines leveraged up by the Bank of England, Bank of Austria and trading via Barclays, HSBC, CSFB (who used their Spanish division), RBS London, Deutsche Bank, ABN Germany, Commerzbank, Frankfurt Germany, and a network of exit banks used by Bush Sr., Romney, Herzog and Guenette, all who ordered profits to be moved into Caracas then on to the Caribbean and even into South Africa. Herzog exited profits via San Marino for onward distribution. Large Profits were made and substantial taxes avoided, yet Mr. Falcone always expressed a commitment to pay his taxes due. On receipt of the huge debt long overdue to him, he will declare his income, fully discharge his taxes and move to fund US infrastructure projects. Herzog operated initially behind a series of fronts including Alliance Stars in Israel. He also defaulted on others, and hid behind his wife Gudrun Funkenweh whose accounts are now frozen. He used Oxi Mining and Trade LLC in the Isle of Man to hide profits, and also Frank Furstenberg behind a Berlin attorney trust. This raises the issue of Mitt Romney, a man purporting to be Presidential material. He and his fundraiser in Florida were pre-advised months ago that they might be culpable to repay all funds raised given this serious screening issue. How can he become a Presidential nominee when the Falcone issue is not resolved? Will he and his fundraiser ethically return funds they have raised should he withdraw as this escalates? Some 2 years ago the CIA, the Bushes and Falcone had negotiated a settlement deal. Yet again, that was reneged on. This is escalating into what could become a serious global embarrassment for the United States. The Falcone camp is focused and determined to get their money, whatever it takes. This is about justice. It’s about the projects, people and jobs needlessly lost. There are other agendas also being seriously monitored. President Obama’s bank accounts are constantly watched by the retained Falcone investigators who note two amounts having been recently moved. Jeb Bush appears as a signatory on numerous offshore accounts, both singularly and linked with Bush Sr., for substantial amounts having no IRS history or true source of funds that are able to withstand forensic investigation. The issue is Mitt Romney, he who would be President, and the company he keeps. Specifically, it is his sense of moral justice regarding his own tax integrity and regarding Ed Falcone. Herzog has threatened to open his books on all deals done with Bush, exposing the entire history of their activity together if he is forced to pay back the Falcone funds. Might Congress demand this? During Mr. Falcone’s visit to London, he met with key, influential people. The Lords discussed with him the independent facilities of the World Court in The Hague and its ability to force through his case to achieve a vast settlement avoiding the corrupt US Judiciary. He was offered introductions to senior government officials able to appraise his case and, if approved, to treat all the trading as a contested issue with conspiracy and fraud overtones. That could, if successful, allow worldwide recovery of the entire amount as proceeds of crime. A large number of the people trading his funds have now been identified, as have their Trusts and Foundations. Each will face tax investigations with stringent penalties. Senior Ministers are now reviewing the Falcone case. Huge embarrassment and shame will follow with full media exposure for their crimes. Moves are now developing to freeze their worldwide accounts as part of a UK Task Force Tax Recovery operation, irrespective of their political standing. A good General never leaves his men behind. In the same spirit of integrity and new stewardship at the Agency, a leader of such integrity would never leave his key Investor behind. It needs to be made RIGHT and NOW. This blemish has to be removed. Integrity, Trust and Honor must be restored to the Office of The President to The United States of America. We are at the conclusion of this report and we felt a recap in the form of questions for Mitt was appropriate. In the 2008 General Elections, you were the #1 candidate to run with John McCain for the top spot in the United States. You found out hours before that Sarah Palin was going to be the running mate on the Republican ticket due to your inability to pass McCain’s vetting process. The reason was the money you stole with your associates Michael Herzog and Paul Guenette. For your further education from non-White Hat sources, please consider the following information purportedly from the McCain Camp. So, let us ask the obvious questions. Did you actually think that the American public has forgotten, much less the White Hats? Do you think you will move forward with the Presidential race with the potential of a criminal prosecution in the international arena as the President of the United States of America? Do you think that Presidential immunity from prosecution provide you cover? Do you think you have the moral character that is required to be the President of the United States of America? With what the world currently knows, do you think the world will think anything different of you, as opposed to any other Presidential candidate the Bush Cabal is attempting to place into that slot for their own greedy purposes. When you became aware of our report, did you really think that by merely glazing over the fact you participated in the theft of Falcones money and received One Billion Dollars as compensation for your involvement in the international bank fraud conspiracy, you would be able to hid the funds in an off shore account and not pay any taxes on it? Do you think the problem is going away by claiming “the problem is being handled” and “You might have to amend some income tax returns”? Really Mitt … can you explain to us how a guy of your stature and financial intellect forgets about one billion, tax free dollars, in a brand spankin’ new off shore bank account in the Caymans? Do you do your own taxes or does an accounting firm? Might you have forgotten to disclose that info to them? If you forget about the white elephant in your living room, how can we expect you to perform in the position of President of the United States of America, representing us, the American people, here at home and representing us in the World View? Mitt, the White Hats think the American people need someone better than you to represent us, to lead us and make decisions for us. Take the pay-off money from the Bushs and go away. Hide behind the other recipients of the stolen money … the FBI, the CIA, the NSA, Homeland Security and the Department of Justice. America needs leadership, a small feeling of truth in it’s candidates and integrity. You maintain none of the qualities required to lead America! It takes more than just a few to play the game in the international arena. Let’s examine a future article we are working on. We will take a look at the Banks involved starting with Barclay’s, Deutsche and the receiving banks responsible for the flow of the money and the trading. We will take a deep look at the internal bank examiners and the external professional Accounting firms responsible for auditing the specific trades and the bank records. We will look at the taxes that have not been paid to governments and other jurisdictions … not that there will be much to look at above the excuse “Golly Gee, we just don’t know how we forgot to pay them … we hate when that happens”. We will look at the bank and independent traders that generated the profits and are responsible for the dissemination of the profits to the individual accounts. Who we know took pay-offs, and who else took influencing money to look the other way including Senior Interpol Agents. We will also connect the dots on who knew who when and how they accomplished this.